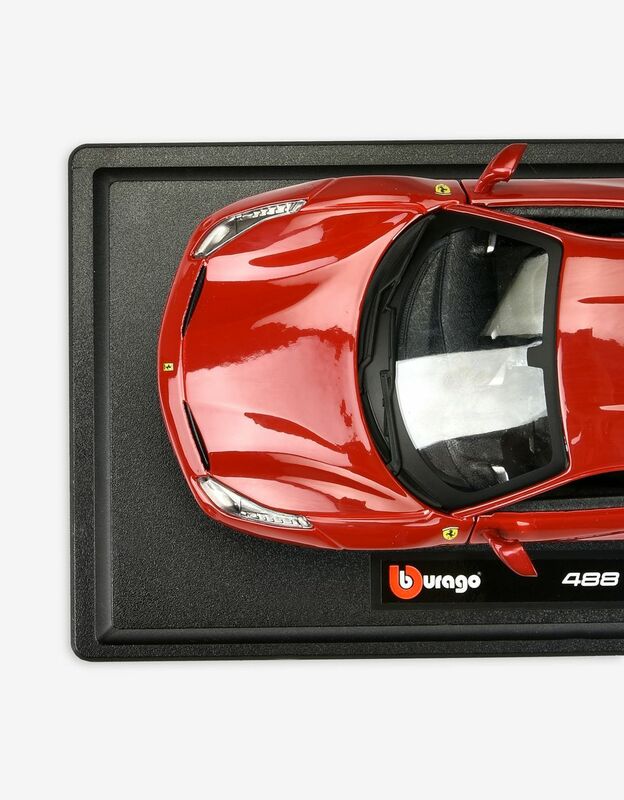 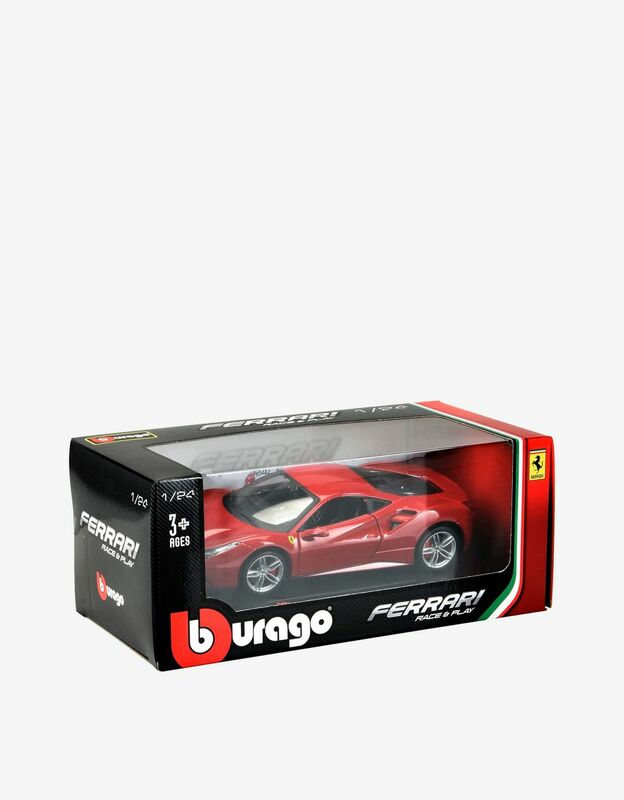 The Ferrari 488 GTB 1:24 scale model is part of the prestigious Race & Play series, which is lots of fun for Maranello fans of all ages. 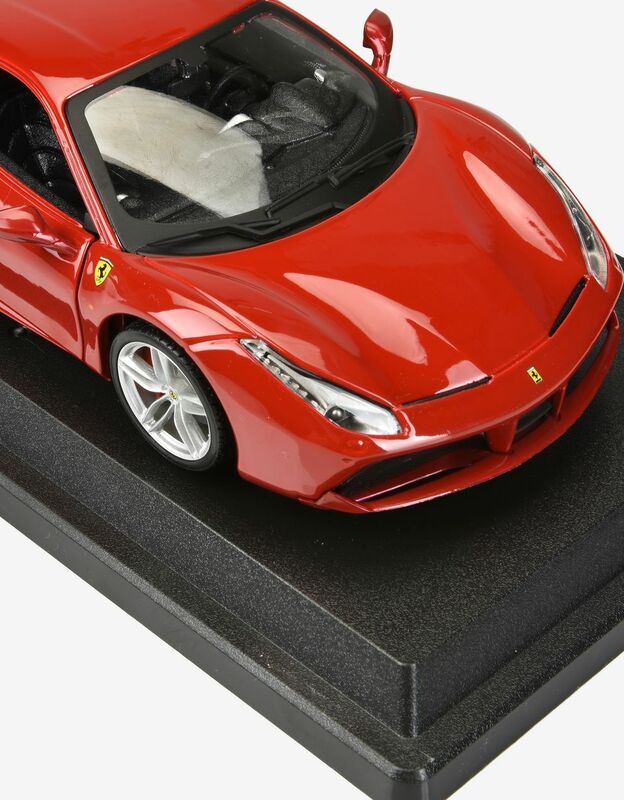 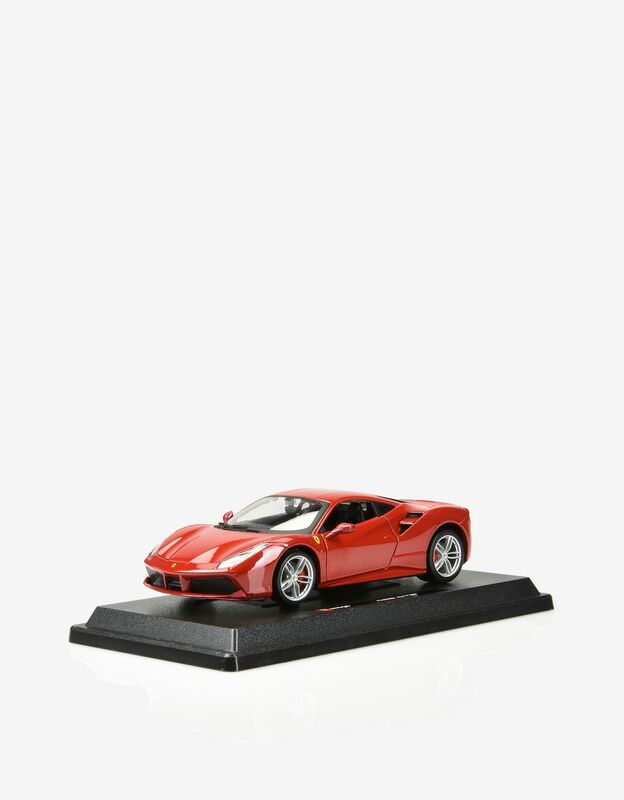 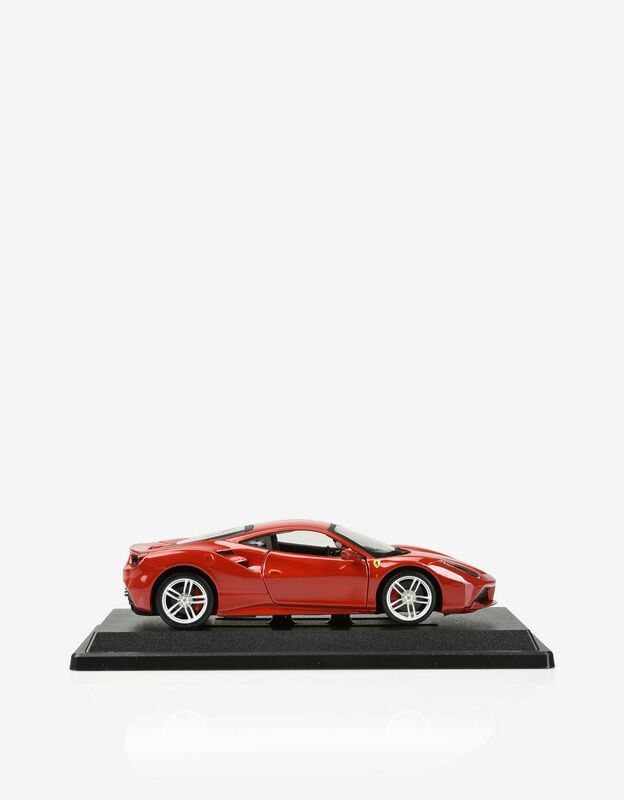 Packed with realistic details and exciting features – doors, bonnet and boot that open and a functioning steering wheel – this 1:24 scale model is a faithful replica of the 488 GTB, the car that opened a new chapter in the history of 8-cylinder sports cars from Maranello. 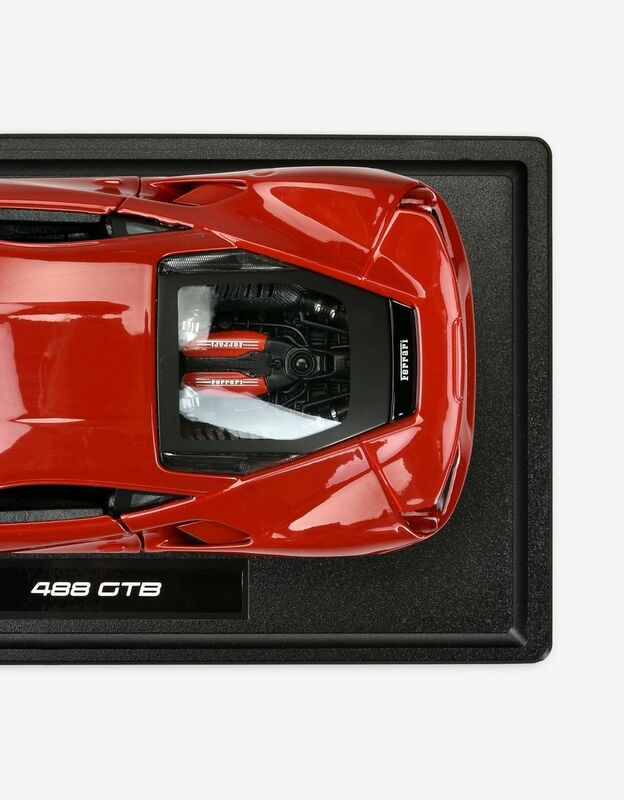 The scale model comes with an intricately detailed interior and an exclusive display case with a black base.